Ride GC Active – Ride Gold Coast – Cycling Gold Coast – Cycling Paradise – it’s all good! Group Rides Gold Coast, Bunch Rides. Cycle Events, Cycling Maps, Cafes and much more How lucky are we…come ride with us. Christmas is coming …and I am full of excuses! Its Race Face Day..or Face Race? Leaving 5:15am QLD time from Tumbulgum Tavern. This is a relatively flat looped ride, with some undulation in the middle around Chillingham and Tyalgum, coming back straight down Tweed Valley Way. Easy to medium paced ride, we hope to be back by 8:30am QLD time. “A beautiful start to the Tour de Tamborine… Love this event, all about community, participation and fun!” …. The GC is A Triathletes Paradise..goForIT! Specifically tailored Personal Training, Group Training & Children’s Fitness & Triathlon Squads. Be your best, look your best, feel the best! Ballarat 70.3 group approx 105km bike + 60 run or as per programs. Burleigh..South Tweed..Sextons Hill..left onto Coast road after BP..right at the first set of lights (Cudgen Road)..then left onto Duranbah Road..Environ Road..right into Clothiers Creek Road..Condong..then Cane Road..right into Tomewin Road..right into Dulguigan..Terranora..Fraser back to Burleigh. Geelong 70.3 group + Mooloolaba group 3 + hours Bilambil/Hogans/Tomewin loop. Junior Raptors on the water bottle challenge! Run, drink , run! Those planning Christmas training , the club will be operating normal sessions up to and including Thursday Dec 24th. We will return to normal sessions on Monday January 4th. Meeting Spots will be will be announced each week via our Private Facebook TriBabe Group. Please make sure you follow us on Facebook to stay up to date on any changes to our sessions (due to bad weather etc). Wed morn 7am, Somerset Park, off Somerset Drive Mudgeerabah. Gold Coast Tri Squad is a small inclusive Squad operating from the Southern end of the Gold Coast. Coaches and members are friendly and love the sport. Juniors aged 7-18 years. Specific training to build on skills, confidence and participation. It was great to see so many mums and dads out there chasing their kids down the finish chute….this is what sets our club above the rest. Thank you also to all the families…kids, parents, grandparents & aunties/uncles who turned up to also participate or cheer on from the sideline. 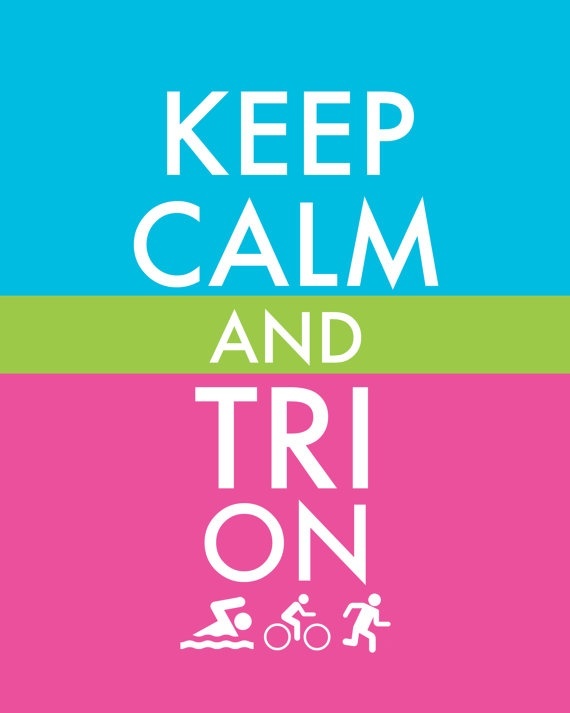 Our Triathlon Club always appreciates your support. Enjoy the photos and look forward to seeing you all at the Christmas party this week. THEY HAVE GREAT CHRISTMAS PARTIES! Racing at Crestmead is back on again this Saturday. (7th) $10 for a fun and hard hit out. Registration on Platinum Dr. See you there! The long awaited mid-week twilight criterium racing starts tomorrow (Wed 4 Nov). $10 race fee. Everyone welcome to race. Please bring your CA licence, All grades roll away at 5pm. 3 Race permits for sale at the canteen ($47 plus race fee). Location: 1 Hope Street, Nerang. Sunday 15 November Luke Harrop Criterium (hosted by the CATS). Sunday 22 November Pimpama Road Race (hosted by Goldstars). Support races will be included. Damien McFarline will be posting the updated Club points shortly. See you team manager to get on the startsheet. The Gold Coast Masters Cycling Club will be holding the Annual Presentation and Christmas Function at Royal Pines on Sunday 13th December at 12:00. The club will be subsiding the cost of the seafood buffet to encourage as many members as possible to attend. In order to finalise numbers, the club will require final payment of $20 (excluding drinks that you will be required to pay for on the day) by 15 November 2015. Payment can be made from next Sunday at the sign on desk after racing has finished. Invitation to the Goldstars End of Year Awards attached. Saturday, 14 November. Look forward to seeing you all there! The Gold Coast competitive cycling combine consists of members of Gold Coast competitive cycling clubs which conduct regular racing in the region. This facebook group is an open group where Clubs can post updates to the cycling community and individuals can engage in open discussion on cycling matters. The site will be moderated to exclude inappropriate postings; however, moderation will not extend to restricting open discussion of matters of interest to us all. Restricted Open – all welcome!! 7.30 start. Rego from 7.00am. Open to members of Cats, Goldstars, Mbah and Logan plus visitors. Race skills training following at 8.30am. The GC Goldstars CC is a leading cycling club in Gold Coast City actively promoting Road and Track cycling through its junior development program. The Gold Coast Goldstars Cycling Club has, since its inception on 15th February 1993, actively promoted competitive cycling activities while encouraging social inter-action among its members and among the general cycling community. From an initial membership of 18 members, the Club has grown to become the Club of choice for Junior cyclists due to its successful Junior Development Program carried on by our Club Coaches and a host of actively involved parents and members. The Goldstars inaugural meeting was held at the Pindara Sports Clinic in early 1993 with 17 attendees. By November that year, the Club was running organised time trial training on Robina Parkway at 6:00pm and by years end, with a membership of 36, was conducting Monday Time Trials with up to 43 regular riders. On New Years Day 1994, the Club successfully ran the first New Years Day Open Criterium around the streets of Robina followed by an Open Track Carnival at Chandler Velodrome in Brisbane on the following evening. The New Years Day Open has been run every year since firstly in Robina around Manly and Cottesloe Drives before moving briefly to the Goldstars established Robina Holden circuit in Brabham Drive, Robina and, most recently, to the Nerang Cycling Complex where it attracts large fields including many of the Aussie internationals who use it as final preparation before contesting the Bay Series in Victoria and the “Tour Down Under” in January. During the years the Club has been active, it has conducted Saturday morning handicap road races in Tallebudgera Valley until increased development drove us out of the Valley in 2000. Wednesday afternoon Criteriums were run on the Surfers Paradise raceway regularly drawing up to 140 riders. Criterium circuits were later established in Molendinar for a brief period with racing held both Wednesday afternoon and Saturday mornings. Sunday morning Criterium racing was held on the Robina Holden closed road from 2000 through to 2005 until, again, increased development moved us on. Currently, the Club runs a monthly road race on the Old Pacific Highway at Pimpama and Criteriums at both Computer St, Arundel and the Luke Harrop Performance Centre at Runaway Bay. In the early years, the Club established a daily morning training ride from the Mermaid Waters Ambulance Station. The Goldstars Ride, as it was known, became very popular with Club members and non-members alike and was great source of new members often attracting up to eighty riders. The ride exists today as a public ride, after public liability concerns forced the Club to remove their endorsement. The Club has always encouraged the discipline of Track Cycling running Track Carnivals at both Chandler in Brisbane and the Nerang Velodrome as well as Weekly Track events during the Summer Track season. Track is seen as the purest form of cycling without the ever changing technology of Road cycling and our junior cyclists are encouraged to learn their skills on the velodrome. 8 x 1sts, 7 x 2nds and 3 x 3rds in addition to several minor placings next to the podium. Stand out performances came from Franky, Zakk, Dylan and James. Congratulations to all who competed and thank you to all coaches involved. We’re off to a great start at the first mid-week twilight criterium race of the summer season with many familiar faces checking in at Nerang for a Wednesday hit-out. Swapping his leathers for lycra again, Mr Moto GP Bryan Staring has come back from Europe in fine form as he broke away from A Grade and will be looking for pole position in the coming weeks. We nearly ran out of race numbers in B Grade this evening with over 30 riders on the start sheet including twinkle toes and footy legend Mat Rogers, but the star of the show tonight was Bradly Warnes with an easy down hill victory and a cheeky salute. Congratulations to those who placed and thanks all the riders who came down to Nerang to support local racing. Finally, a big thank you to the volunteers who made this race possible: Rob Craig, John Huntley-Chipper, Chris Alomes, Sue McCallum, Tim Hoy and Andrea Abbassi. See you all next Wednesday at Nerang Cycle Center. Training for RoadNats or for fitness? $10 mid-week twilight criterium racing is on again this Wednesday. Please bring your Race licence. Rego opens 4.20pm. All grades roll away at 5pm. 3 Race permit cards for sale at the canteen until sold out. Note Cycling Australia are selling online 3 race permits. See link below to purchase online to avoid delays at registration. See you at 1 Hope Street, Nerang. CATS members: Nerang Wednesdays for Skills & Race Training with Coach Steve Rooney. Starts 4pm to 5pm at Nerang Cycle Centre, 1 Hope Street, Nerang. Why not make full use of this FREE coaching service provided by your club for all CATS racing members as well as our recreational club members. Do you have what it takes to get on the ENDURO criterium podium this Sunday? An extra hard Endurance race deserves extra generous prize money in each grade and we’ll proudly display your podium photo on this page. Registration opens at 6.20am. $15 race entry. All grades roll away 7am sharp. All welcome to race or come down to cheer on your mates. Stick around for FREE tea/coffee and cake. Showers available in the clubhouse. See you this Sunday at 1 Hope Street, Nerang. $10 mid-week twilight criterium racing starts up on Wednesday 4th November. All grades roll away at 5pm (hosted by the CATS). Sunday Racers: The Nerang criterium is back on this Sunday and it’s still FREE entry for C Grade. Registration will open at the canteen from 6:50am and close at 7:20am. FREE ENTRY FOR C Grade extended to 4 October 2015. The Gold Coast Cycling Club (aka CATS) are currently the number one cycling club in Queensland having been named “Club of the Year” at the Cycling Qld Awards Presentations for 2012. The club boasts a strong group of elite cyclists who have achieved at international level such as Robbie McEwen, Sara Carrigan (OAM), Danny Clark (OAM), Jonathan Cantwell, Katrin Garfoot and Emily Roper. Gold Coast Cycling Club, “CATS” boast a strong group of elite cyclists who have achieved at international level such as Robbie McEwen, Jonathan Cantwell, Emily Roper and Sara Carrigan. We have several junior state champions in both individual and team events on both Track and Road. Similarly, our Elite and Masters riders are consistent medal winners in state championships. The Gold Coast Cycling Club is the Coast’s premier cycling club. Awarded Cycling Queensland’s Club of the Year in 2012 and finalist for this award in 2013. We provide opportunities for racing for all levels of cyclists from juniors to adults. Our junior development program is inclusive, challenging and fun and we encourage and support our junior cyclists in seeking opportunities to test their skills in a variety of venues. We have State champions in both individual and team events on both Track and Road. Similarly, our Elite and Masters riders are consistent medal winners in State championships. Whether it be in road or track cycling the Gold Coast Cycling Club invites you to become a member and participate actively in this great sport. Murwillumbah Cycle Club held its annual presentation night on Sunday 22nd of November at Bucks Barn in Chillingham. Thank you to everyone who attended the presentations and competed throughout the year. Hope to see you all next year! Last years women’s 100 was so popular we decided to make it an annual event. Please share with women riders you know. This ride is for fun and participation and to build skills and confidence on the road. Also to come together as a female cycling community socialise and meet new people. Murwillumbah Cycle Club has been home to road racing in the Northern Rivers since the 1930s and continues to host weekly graded races from January to October. Races are held every Saturday at 2pm (Queensland time). Sign up at Pat Smith Park at 1.30pm. Click here for directions to the race start and sign-up venue at Dulguigan Road. The club stages stratch and handicap races on the picturesque roads of the Tweed Valley, catering to everyone from national-level competitors to absolute beginners. Keen competition has a high emphasis on safety and a supportive environment, to ensure riders have fun while they get fit and share their love of cycling. Murwillumbah Cycle Club is friendly club with a growing number of female riders and a healthy crop of rising junior talent. Many of its members get together for a relaxed social ride each Sunday morning. Anyone keen to try their hand at cycle racing is welcome to join the club at one of its race days or social rides. Every Sunday (weather permitting) is raceday for the Gold Coast Masters. Numbers range from 50 to 70, divided into grades A to E. Our aims are to provide high quality racing in a safe and friendly environment, sheep stations are not at stake. Our mission statement is accurate. We have 4 different circuits, using a different one each week. Our club is not associated in any way with the UCI. You can come and try racing with us at anytime. Have a free trial ride and see why our club is one of the best supported clubs in Qld. “Membership for the Masters runs from January 1st to December 31st for each year. Membership fees are only $100 for the whole year. To be eligible you must be 30+ years for females and 35+ years for males . The first Sunday in May (3rd) will see the return of the much loved Gaven Road Race – Long Course. This is a tough race and we only hold it twice a year (May & October). The race starts at 7am because we have to be off the circuit by 9am according to our council/DMR/Police approvals. Please note, this is a popular event so be on time to sing on and warm up. 2014 was a good year, we ended up with about 140 members. We have even more this year. We held regular social rides and training rides along with social events like Christmas in July. We also hold fun days with novelty events and regular free bbqs after racing. A Cat Update: For our members who couldn’t make it to the Cycling Australia Awards last week to support our finalists Katrin Garfoot, Jenelle Crooks, Sharon Heap and our Inaugural Hall of Fame inductees, Robbie McEwen and Sara Carrigan, check out the video thanks to Cycling Australia. It was Cycling Australia's night of nights last Friday with the Jayco 2015 Cycling Australia Awards held in Melbourne. Rohan Dennis (SA) capped a record-breaking 2015 by claiming the Sir Hubert 'Oppy' Opperman Medal & Trophy, edging dual 2015 track world champion Annette Edmondson (SA) and 2015 Para-cycling road and track world champion Alistair Donohoe (VIC) for the major award. Its probably the perfect time to join a club…and none better than becoming a bonafide Master of Spin…! Cyclocross will challenge the best of us…Have you had a go ? Cyclocross is an emerging discipline of cycling that sees participants complete laps around an off-road circuit whilst negotiating obstacles that often sees them having to dismount and run with their bikes. The course is a relatively flat 2km circuit. A combination of grass and dirt with some fun sections. Any bike with working brakes can be used. try cyclocross … traffic free, off-road cycling covering a mix of terrains and surfaces. A one hour cardio blast! Attention CX’ers below the border – want some more Queensland Cyclocross action? Check out the comp GCCX is running in conjunction with ‪#‎TourdeValley‬ in the first Victorian edition of ‪#‎MultisportMag‬ return flight, accommodation & race entries all covered in 25 words or less let us know why you deserve to win. Cyclocross is a combination of cycling and running that originated in the winter months in Europe. Because of the adverse weather conditions, European road cyclists developed cyclocross (CX) as a way to maintain fitness and cycling form over winter. The popularity of cyclocross has spread to north America and, more recently, Australia. Cyclocross races are held outdoors, offroad. Races are relatively short, ranging from 20 – 60 minutes. Serious competitors use lightweight bicycles resembling road bikes. Courses include sections where the rider must dismount and run with or carry their bike. 3rd annual Gold Coast Trail Runners Xmas Eve Mt Warning Summit “Run”! Meet at the top carpark at 6am QLD time (7am NSW time). This run is extremely social – there will be lots of hiking on the uphill so don’t be concerned about the pace. BYO breakfast and coffee for a carpark picnic post-run! We are excited to announce the 2016 Big Red Run dates as 25 to 30 June. Are you in? Terranora is the place to be …SPTC on the move…Top of the hill great little shop to pull over grab some water…AND eat a Banana or two! Sean Dutton, Jake Tobin, Kenny Cunningham,Adrian Stubbs, Aden de Jager and Sam at Mt Tamborine. This is why I love our cycling community! I received this message from Kris & her ..